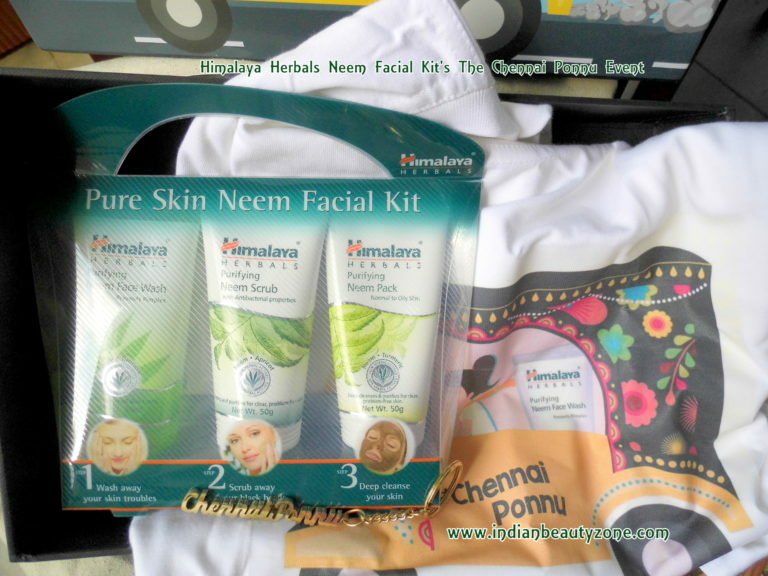 What is in Himalaya Herbals Neem Facial Kit? Himalaya Herbals Neem Facial Kit contains Neem Face wash, Neem Face Scrub and Neem Face pack. Actually these 3 things are pretty needed for this summer. They will help us to keep the acne and pimples at bay. I have reviewed the face pack and face scrub already in my blog. 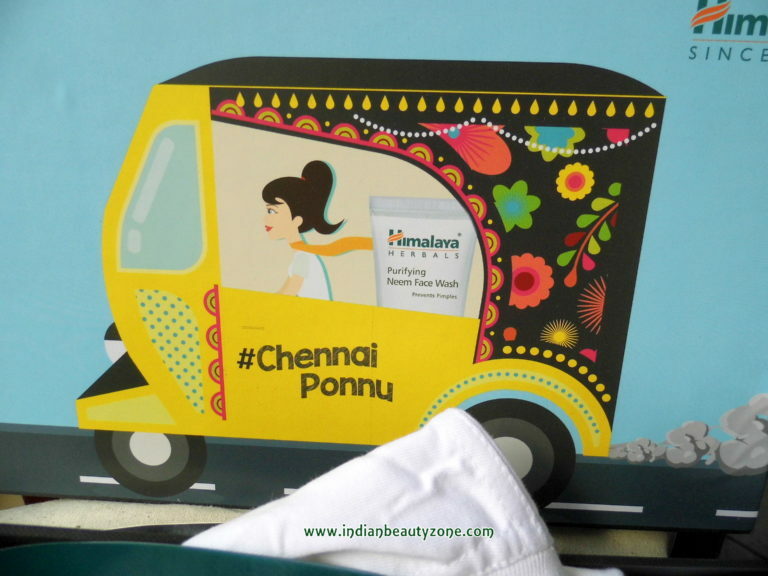 Chennai is the hottest city and humidity is also much more than you expect. Obviously the sweating mix with your oiliness in the skin and makes the clog infected day by day, later it will become black heads and pimples also stubborn acne. The clogged pores of the skin should be cleansed thoroughly on the daily basis to prevent the accumulation of dead skin cells. 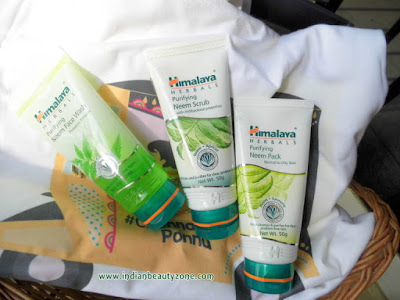 For this we must need an anti bacterial face wash, scrub and a face pack which Himalaya Herbals made it easy to take care of our skin without straining our self much. 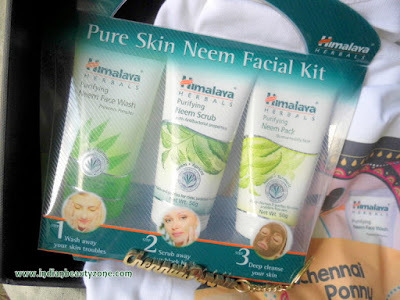 The Neem Face Wash helps to cleanse the face from dirt and oiliness well and makes our face clean after a tiresome day. 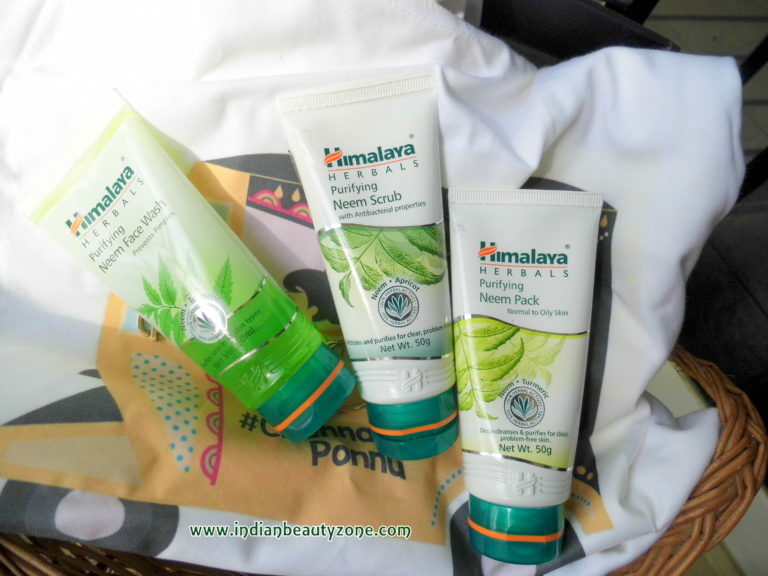 The Neem Scrub helps to get rid of dead skin cells and deep dirts away. 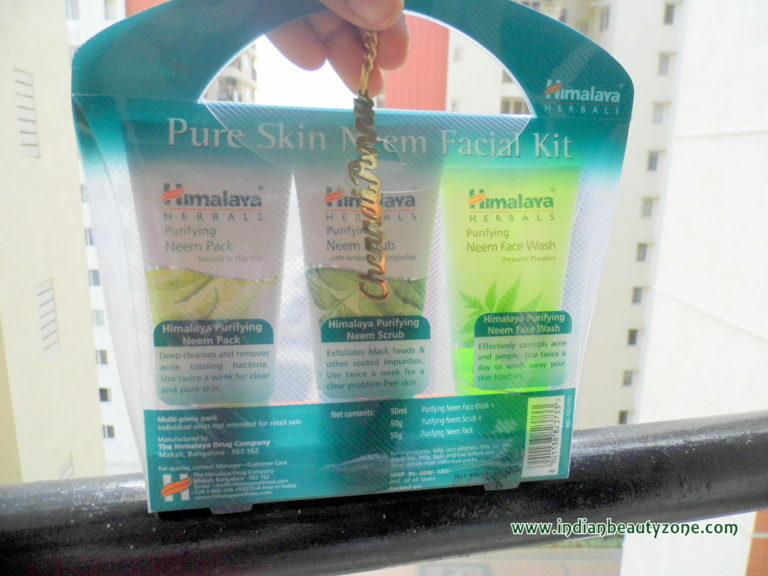 The Face Pack shrinks the pimples and helps to stay away from acne problem. The face pack keeps the face clean, bright and acne free. I am a big fan of this face pack and I have this face pack always with me at any time. This is my all time favorite and it helps to keep my oily skin pimple free. 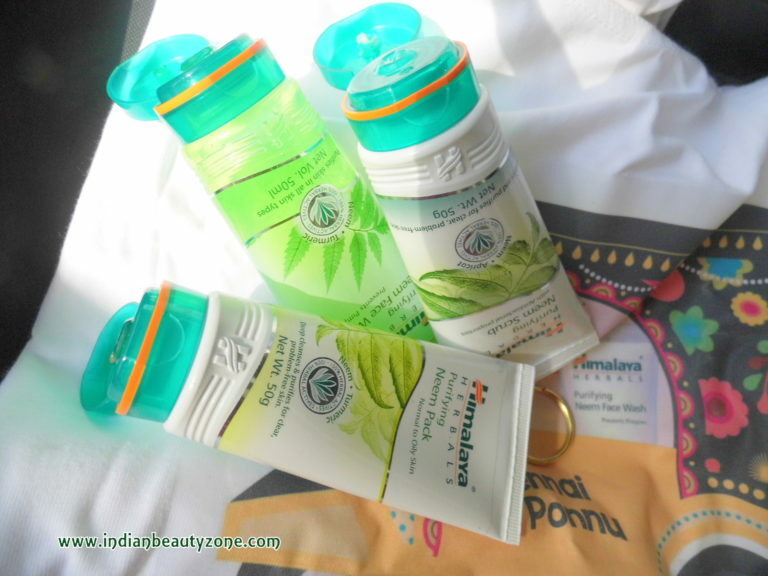 So, this Himalaya Herbals Neem Facial Kit is very helpful for Chennai Ponnu like me. It is a must have for Summer skin care.